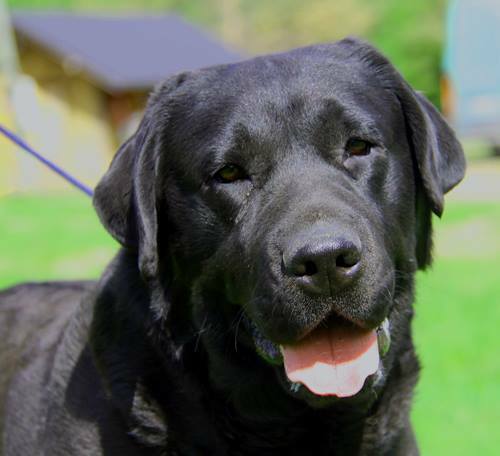 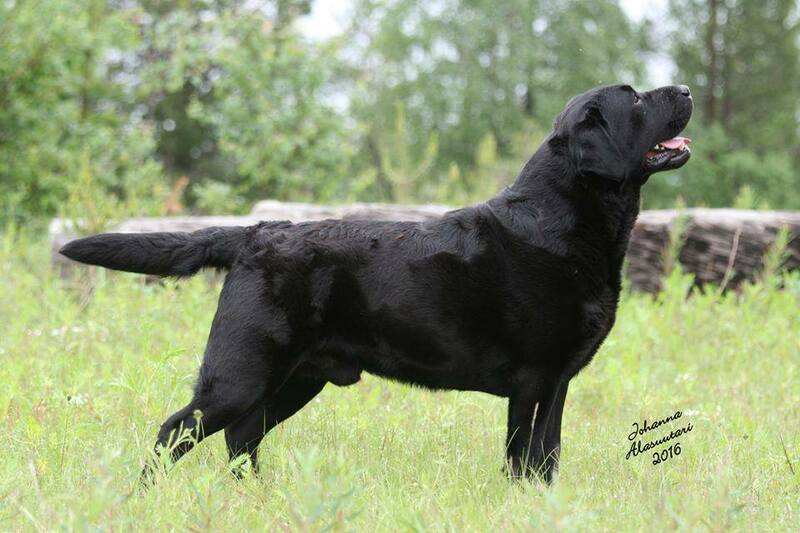 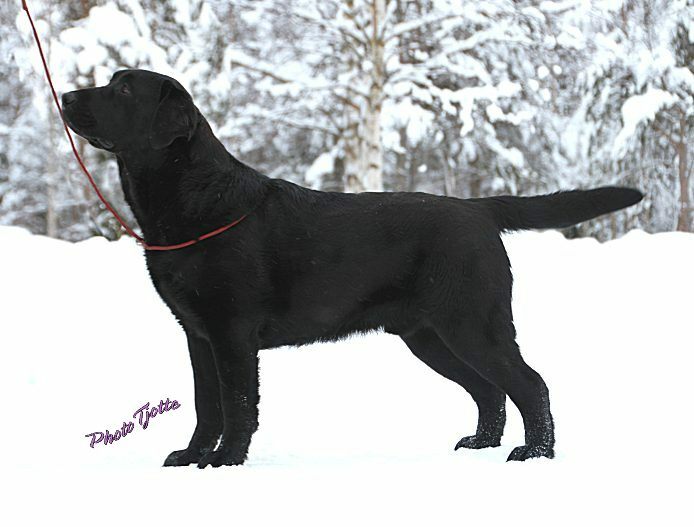 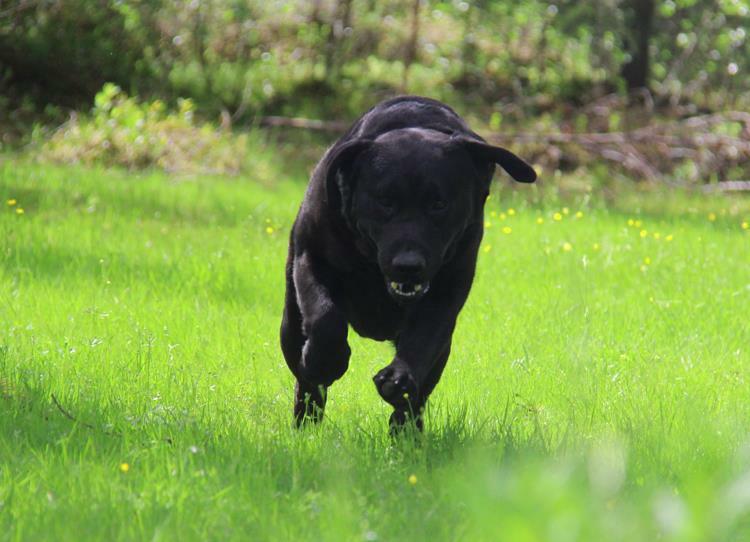 "Pertti" is a dominant black male, and he is 3 years in the picture. 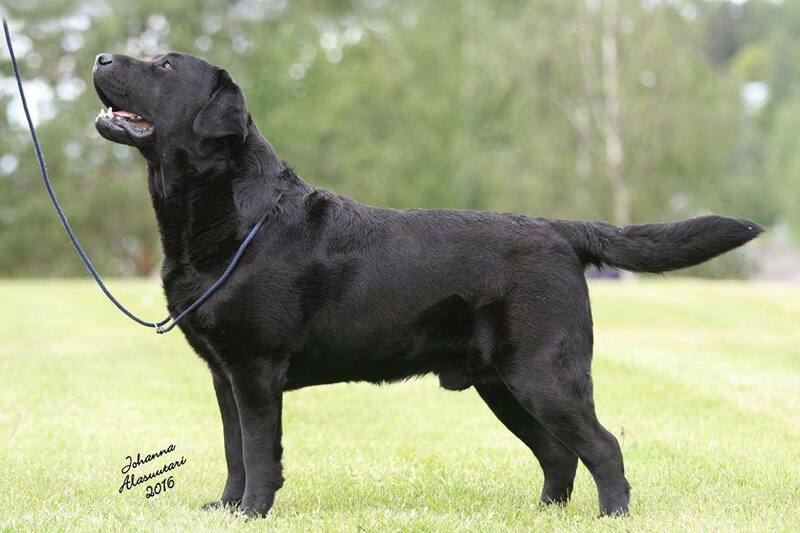 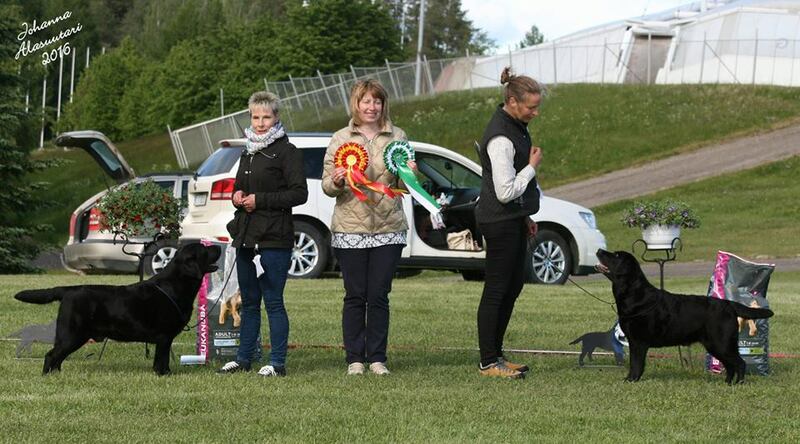 Pertti was shown for the first time in official classes in Kajaani INT Show 11.1.2014. 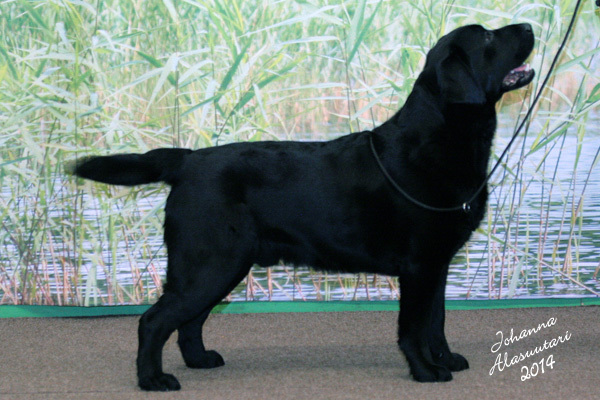 He won the Junior Class and became 2nd Best Male with CC ! 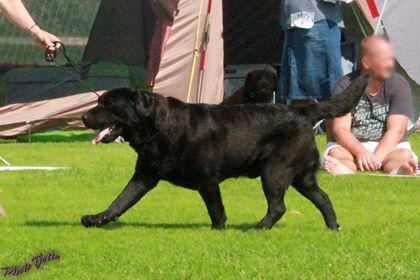 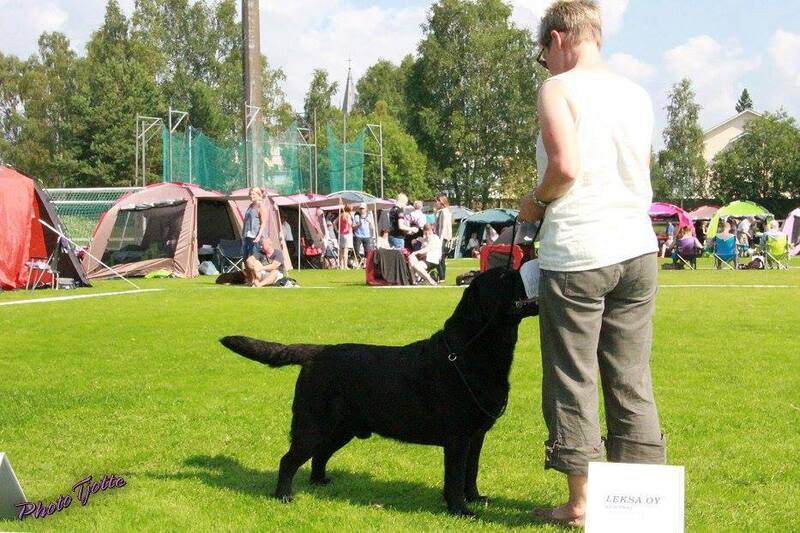 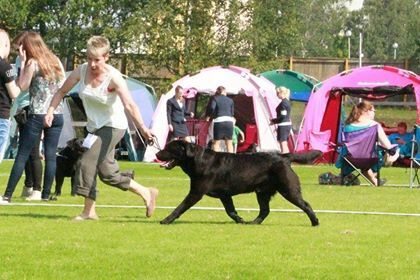 His second show, the Labrador Club Main Speciality Show in Hyvinkää 1.2.2014 was a success. 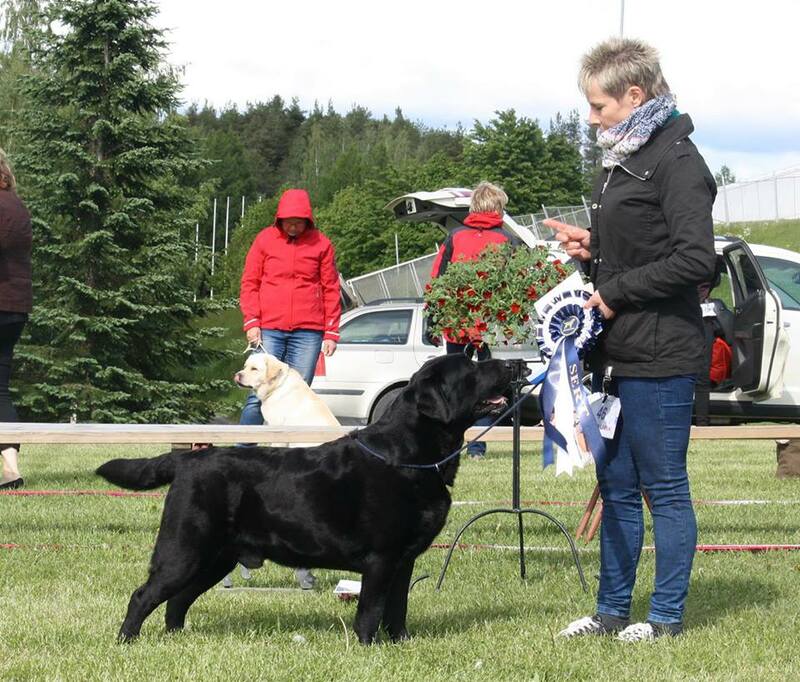 1st in Junior Class, and 3rd Best male with ResCC in a very hard competition.